STARTING April 2018 we offer the coolest way to see the Outer Banks! Take the ride of a lifetime in our open cockpit Waco Biplane! It is sure to be the highlight of your experience here on the Outer Banks! Each ride accommodates up to 2 passengers. BIPLANE Discovery Tour ~15 minutes, $149 per plane: Take off from Manteo & fly over the Wright Brothers' Monument, shipwrecks in Kill Devil Hills and Jockey's Ridge. From there we will continue back over the Albemarle sound to Manteo. BIPLANE Oregon Inlet Tour 30-40 minutes, $299 per plane: This flight takes you everywhere the Discovery Flight does & more. You will see multiple piers including Jennette's Pier & Nags Head Pier, more shipwrecks, Bodie Island Lighthouse, Oregon Inlet and the Bonner Bridge. BIPLANE 1 Hour Custom Tour $589 per plane Ride in our awesome Biplane wherever you'd like to go for a truly unique experience of a lifetime. On this tour it is your choice to go north or south from Manteo over Nags Head, Kill Devil Hills & Kitty Hawk, Duck, Rodanthe etc. Circle Shipwrecks & sealife! This is the best way to go when booking a tour w/ OBX Airplanes! 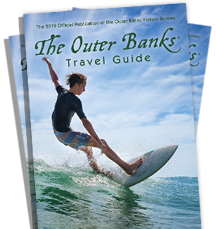 See the Outer Banks' best! Customize your own tour over the Outer Banks!